GOOD NEWS FOR KASI RESIDENTS! THESE residents finally feel relieved. 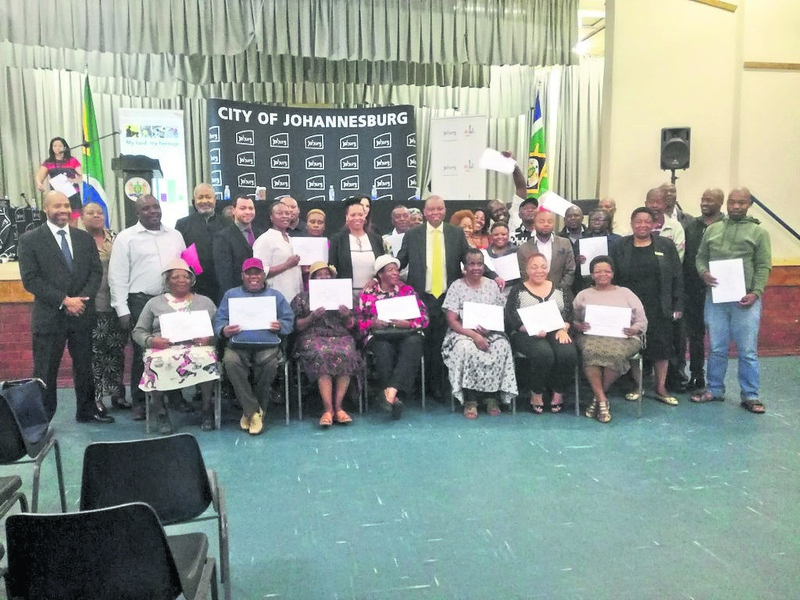 Joburg mayor Herman Mashaba handed over title deeds to business owners, residents and NGOs at the Diepkloof Multipurpose Hall in Soweto yesterday. He was accompanied by Leah Knott, a member of the mayoral committee for economic development. The owners of the 36 title deeds were from Zola, Orlando West, Meadowlands and neighbouring areas. The process was part of the Joburg property company’s land regularisation programme. Mashaba said for government to develop the economy, it was important to give people ownership of the land. He said more than 7 000 title deeds had been issued since he became mayor. Beneficiary Paul Tshukudu said he was grateful to the City of Joburg for taking care of its people.